A couple of weeks ago I went to Silverstone for the annual MG Car Club meeting. 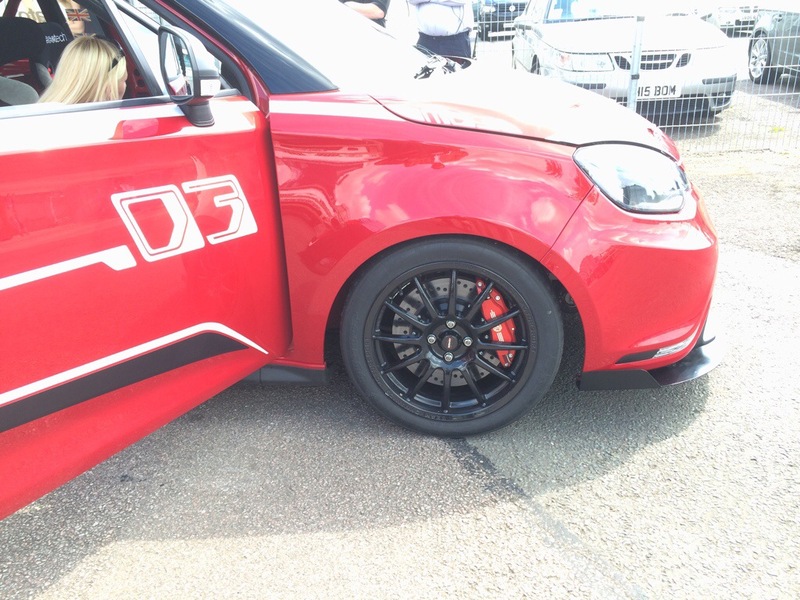 In between the races, a couple of demonstration laps by a rather special MG 3 caught peoples’ attention. 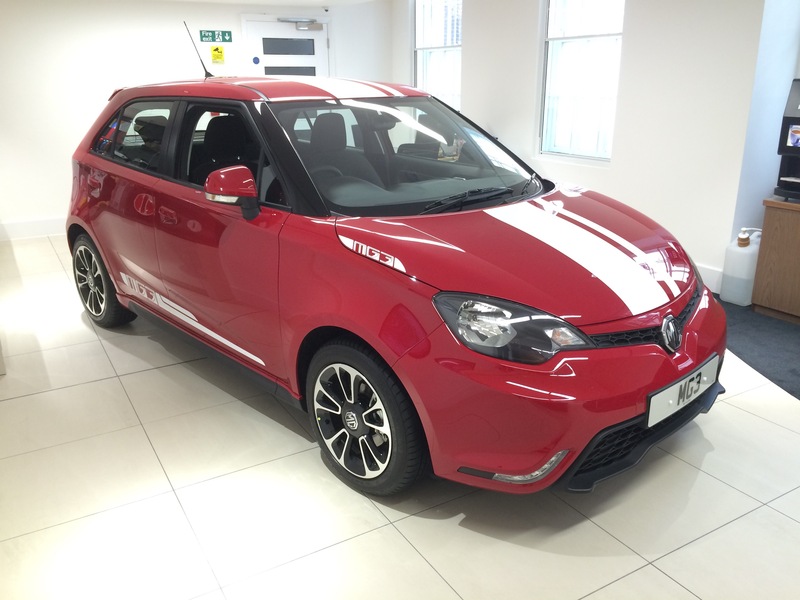 The MG 3 has been out for about a year now and is selling relatively well given the current low profile of the company. It’s won plaudits from the critics for its fine handling and bargain price ( fully loaded its about £10,000). However, for the enthusiastic driver it has lacked one crucial ingredient-poke. In China the car is now available with a turbocharger but that option is not available as yet in the UK. 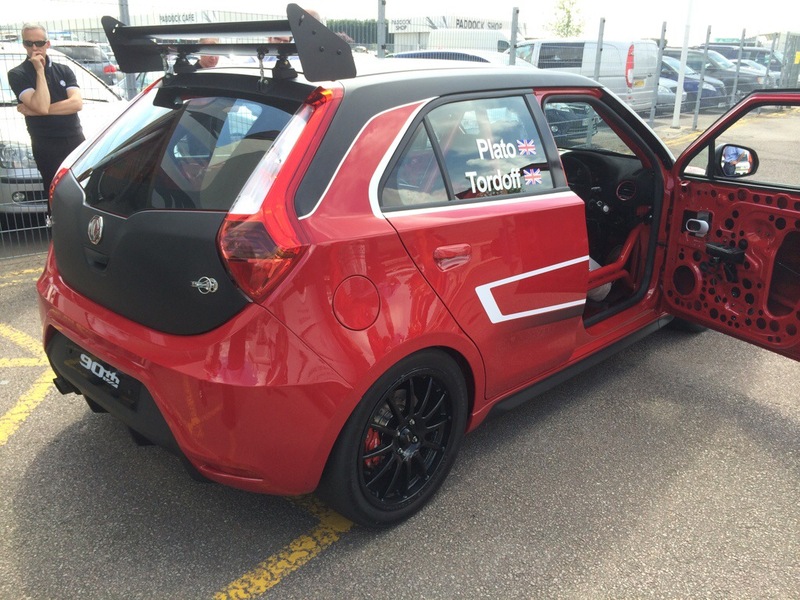 The car paraded at Silverstone was a one-off race car. 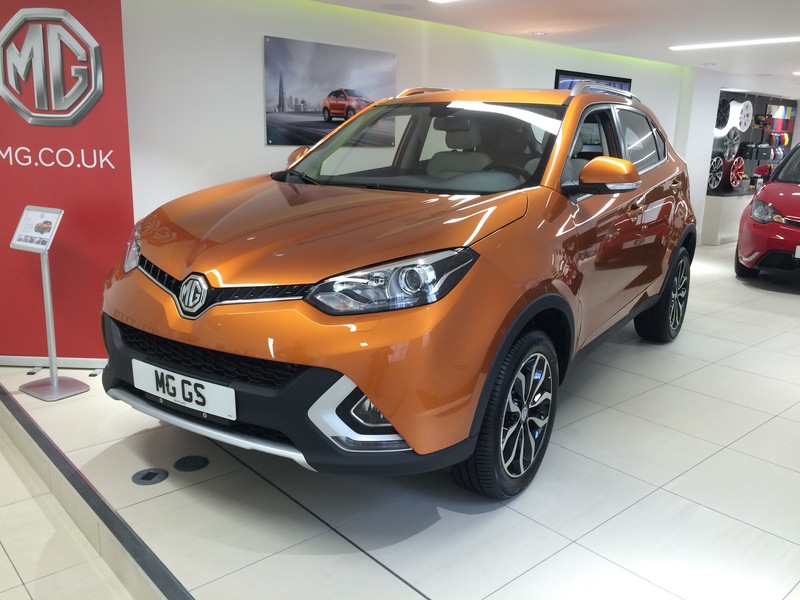 It’d been assembled by a skunk group at MG in Longbridge with money from the marketing team in China. They clearly wanted something sporty to show the press back home. The boys at Longbridge certainly did a fine job. 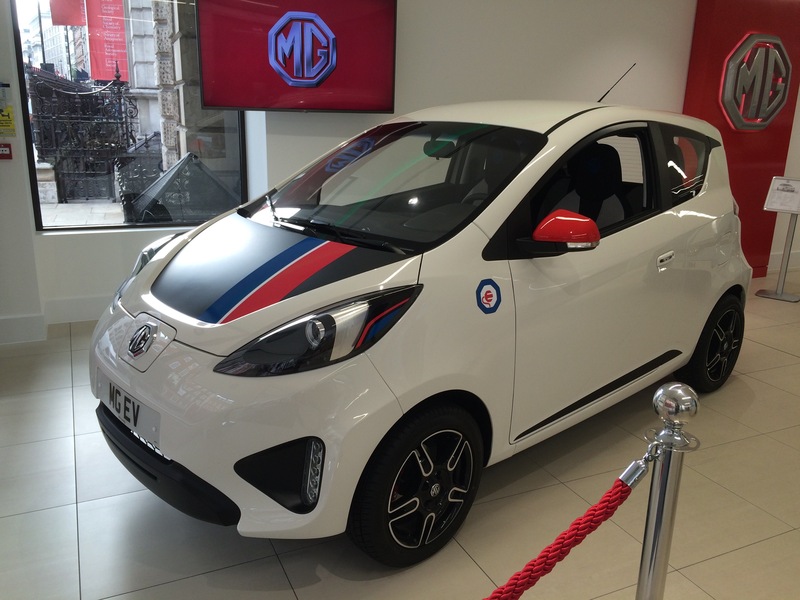 The car was prepared and driven at Silverstone by MG’s engineering workshop manager. I had a good chat with him. 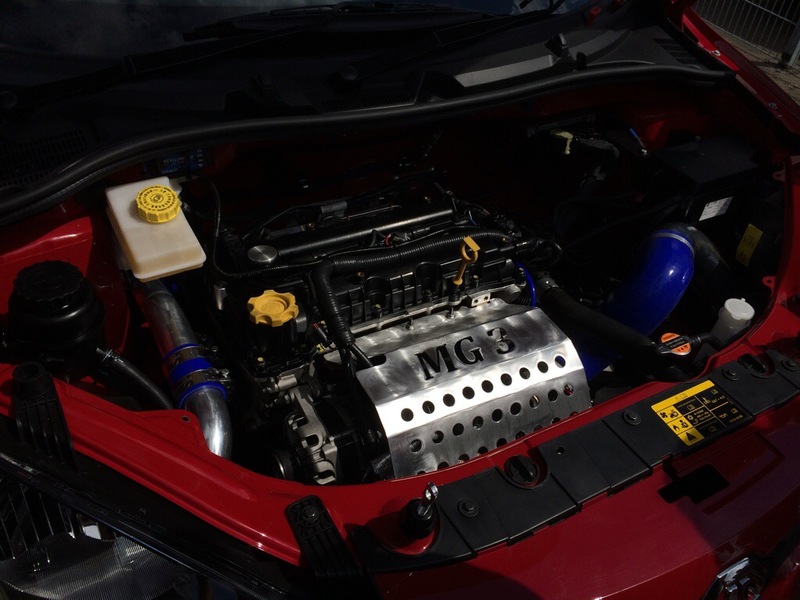 He hoped that interest in the car might lead MG to prepare similar cars for a race series (like the old MGF Trophy) and also kits for owners to modify their own cars. Sounds appealing to me! 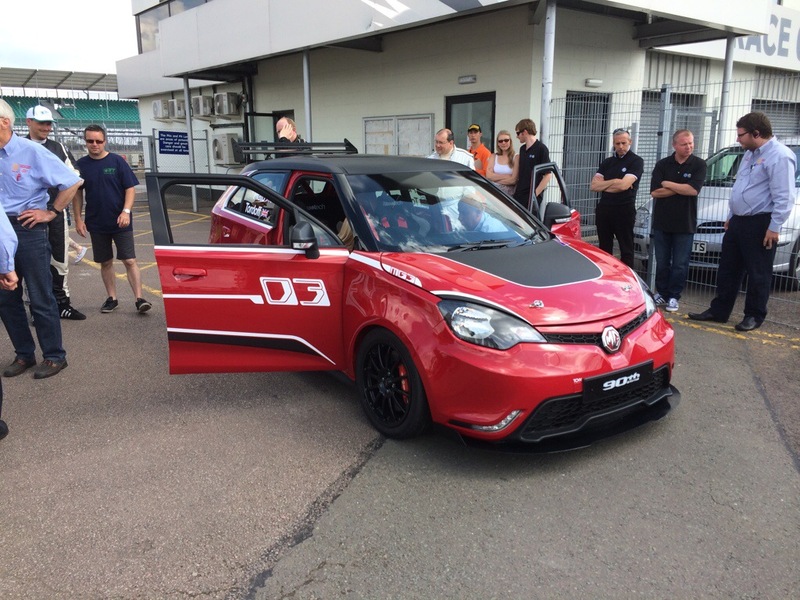 MG3 Racing – stripped out interior with full cage and racing seats. Yes those are slicks. Not sure about that spoiler though apparently vital for added downforce. Standard 1.5 engine with trick innards and head and huge turbo charger. It apparently puts out a healthy 220 bhp! The car rides on shocks especially sourced from Penske in the US. The forged wheels are off the shelf but the brakes which look like old MGF Trophy items are in fact entirely bespoke. The car looks great fun – hopefully we will see a production version.